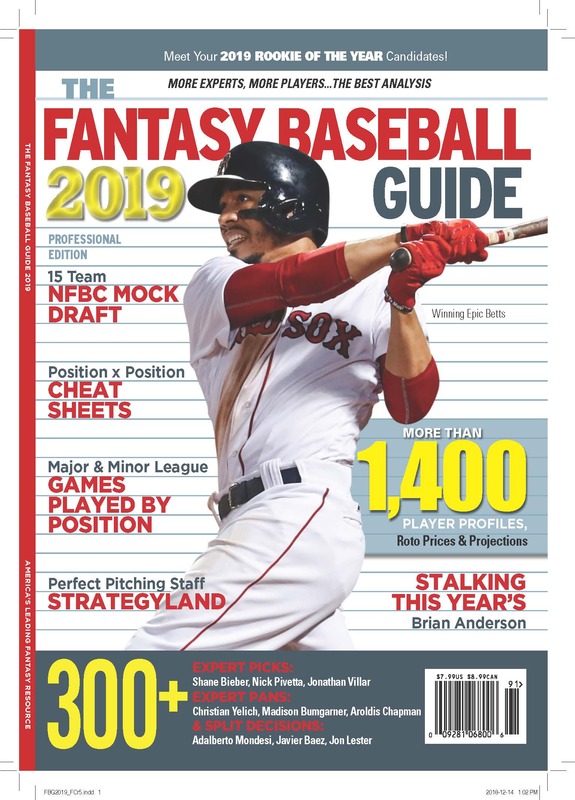 Years ago The Fantasy Baseball Guide had a section where there was a formula for inflation in keeper leagues. I think maybe the article was from maybe seven to nine years ago? It may have been even 10 years ago. Would it be possible to have that formula again? Subtract the bid prices of the frozen players from your total league budget. That leaves you with how much money will be available to spend in your auction. Subtract the projected value of the frozen players from the total league budget. That leaves you with how much talent will be available to spend in your auction. For instance, in a 12 team league the total budget is $3120. Let’s say the price of all the kept players is $500. Your league will have $2620 to spend. If the projected value of the frozen players is $1000, your league will be chasing $2120 worth of talent with $2620 of money. Divide the talent into the money and you discover that your inflation rate is 24 percent. Note that the inflation is usually not distributed evenly in the auction. You should allocate the $500 inflated dollars to players you want (being realistic about what other players might go for and distributing inflation to them, too). The danger is backing off the best players because their price is 24 percent over the “book” value, letting them go at par, and then getting stuck spending your inflated dollars in the endgame so you don’t leave money on the table.